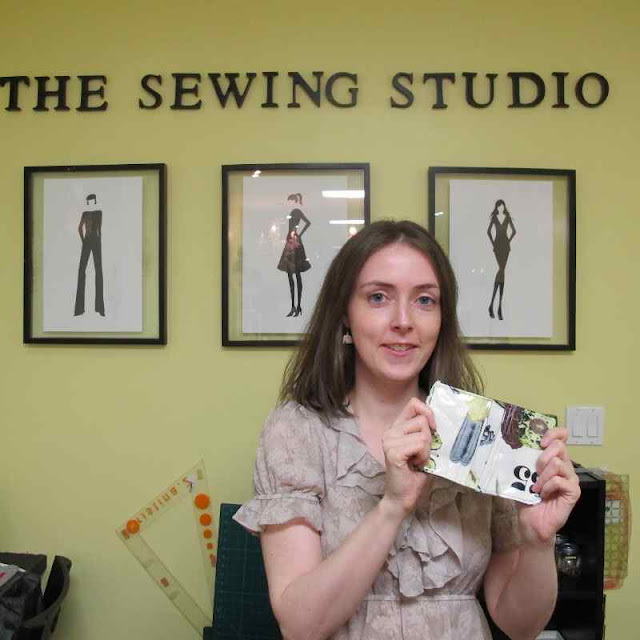 I visited The Sewing Studio to try my hand at sewing. It’s a good thing I had my camera ready for this article. Otherwise, no one would believe it! 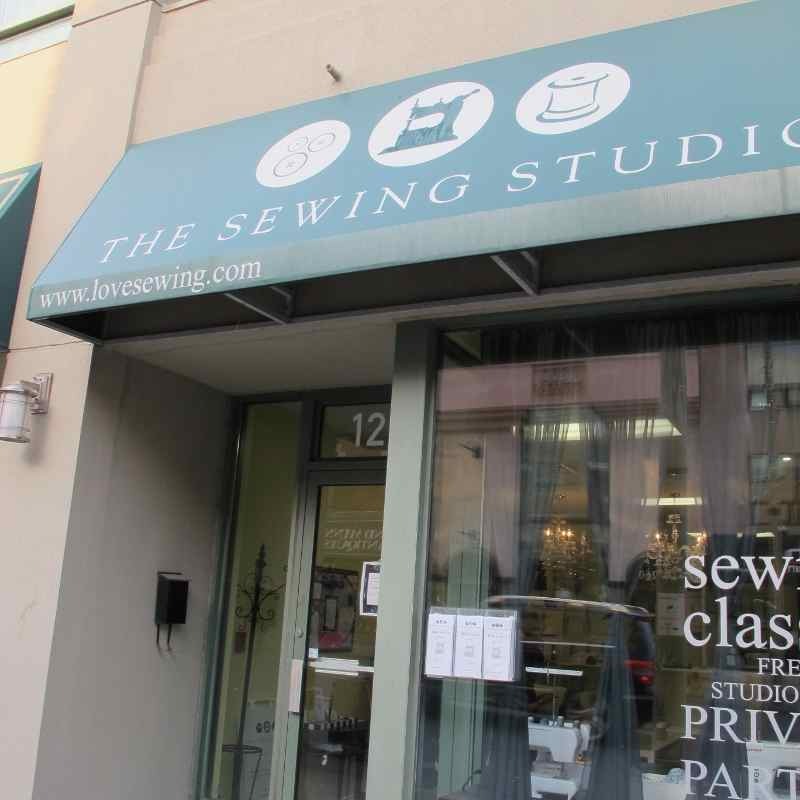 The studio is the brainchild of Denise Wild, whose love of sewing drove her to open The Sewing Studio in 2004. Denise now has locations in both Toronto and New York City. At first, I felt a bit intimated by rows of sewing machines. My sewing skills are zero. 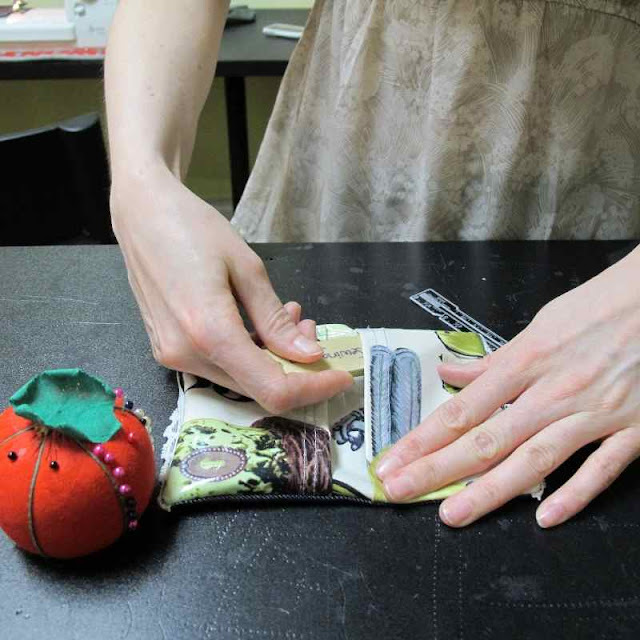 Luckily, our instructor Christina, gave us a run down on the machines and then the fun began! Success! I threaded the machine without breaking it. 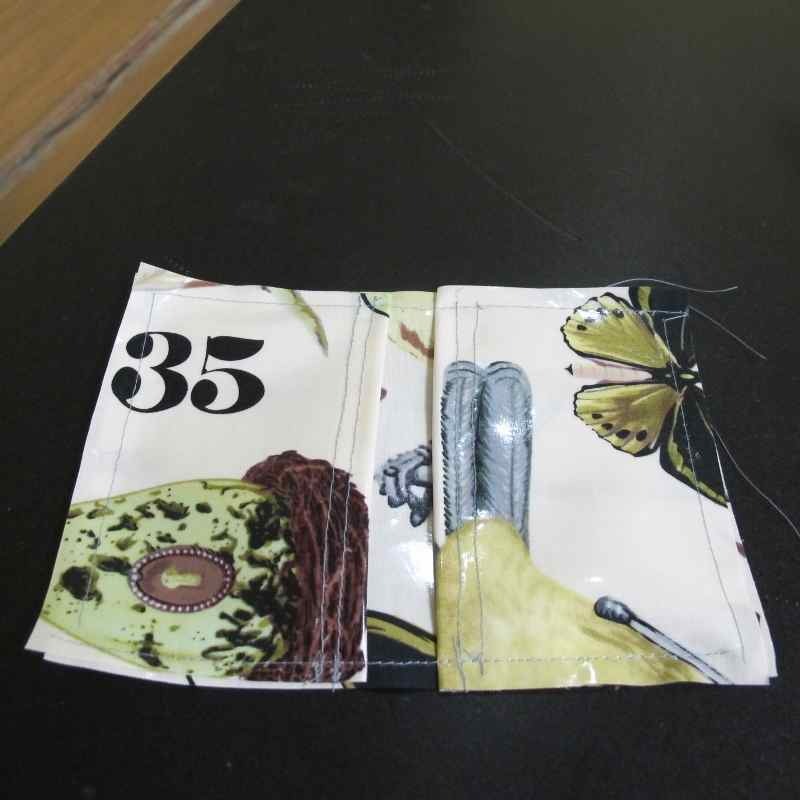 Now to tackle the actual project – creating a business card holder. Christina had the fabrics ready to go, but we got to pick our own pattern. I put my machine on super slow to avoid sewing my hand shut. It was actually really easy to operate, once my hands stopped shaking. The beginnings of a masterpiece. Well, sort of. Dying to try a class? 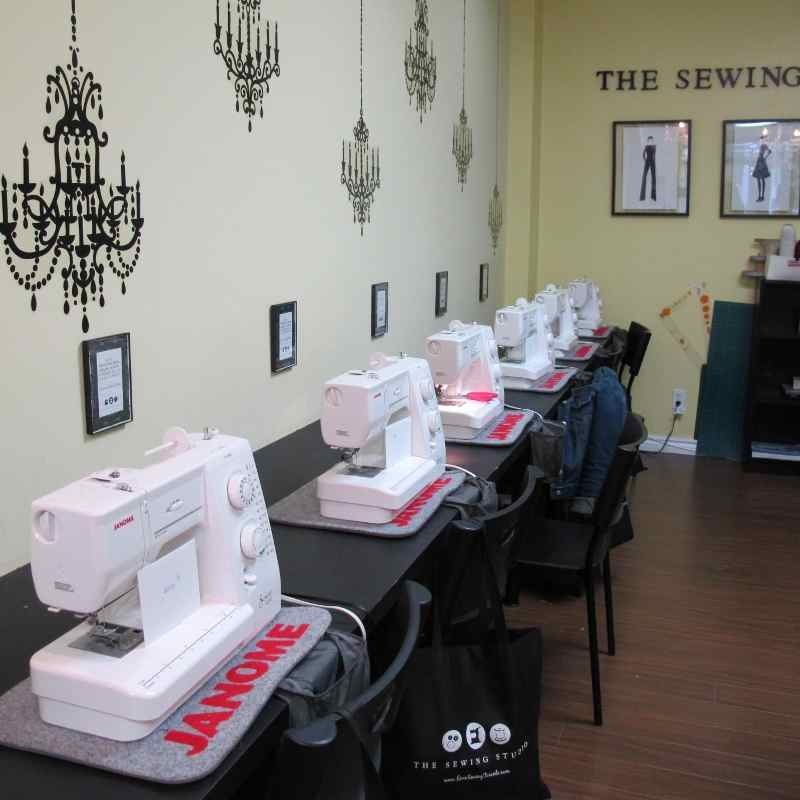 The FIRST (25) readers to comment below with their email address and tell us why they want to learn how to sew, will receive a $25 gift certificate to use towards any class! We also have one sewing kit to gift to one lucky reader too. Hey Jana, please leave your email address so I can get in touch with you. I need to learn how to make stuff out of the awesome fabric I bought at fall (yes many, many, many months ago) the One of a Kind Show! 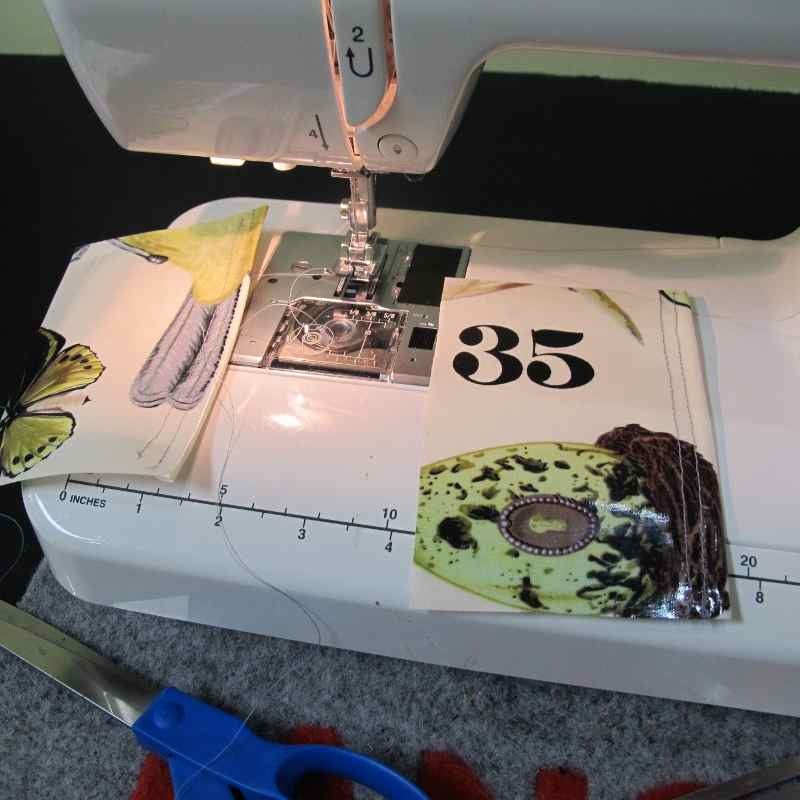 Oh this would be so much fun and I'd finally be able to use my grandmother's sewing machine! Could definitely use a lesson! Looks like fun!! Hi Everyone - please leave your email address or I can't contact you to claim your prize. THANKS! I want to learn how to sew so I don't have to fork out $10 every time I need pants hammed. What a great idea!! Hey S, what's your email address? I've been meaning to learn for ages! I wear dresses or skirts 90% of the time and would love to make them to my very specific taste! Amazing! I've always wanted to pick up sewing again (after promptly forgetting everything I ever learned at the age of eight). Shannon, can you leave your email address? Nice! My sister and I are learning to sew together. This would be super useful! Danielle, can you leave your email address? Lisa, I loved this post! 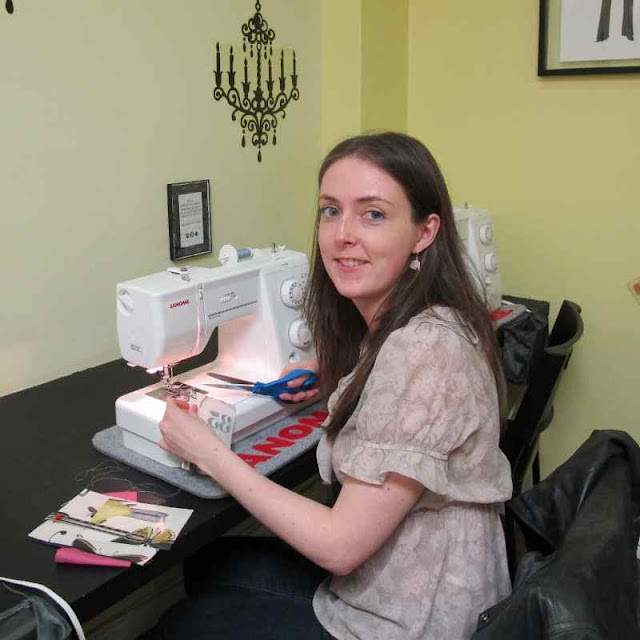 I've always wanted to learn how to use a sewing machine - whether it's to bring my style visions to life or to alter pieces I already have; it's a passion of mine that I would like to turn into a hobby! 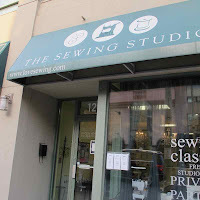 This place looks great-when I was growing up my grandmother always tried to teach me to sew but I wasn't interested-now that I'm older I'm jonesing to create things, be it Halloween costumes or other creative pieces. Sounds really cool! I want to learn how to sew so I can start my Fashion and Home Decor DIY projects. This would be the perfect opportunity to start learning. Growing up I hated anything that implied domesticity for women and associated sewing as being a prime example of that. Now that i'm a little older and wiser I see the value in learning such a basic skill. I would love to try a class and see if I can do it instead of judging it. I would like to sew a sleep sack for my baby to make her sleeping situation safe. Sleep sacks eliminate blankets to avoid suffocation. This looks great! I need to dust off my sewing skills (the last time was in Family Studies class!). I would love to sew some clothes for my little one and just want to learn basics to hem items. If there are any certificates left, would love to have one! Only a few gift certificates left! Don't forget to leave an email address.